Yao, Jui-chung specializes in photography, installation and painting. The themes of his works are varied, but most importantly they examine the absurdity of the human condition. Representative works include his Action Series which explores the question of Taiwan’s identity in Military take over (1994), subverts modern Chinese political myths in Recovering Mainland China (1997), and examines post-colonialism in The World is for All (1997~2000), as well as Long March-Shifting the Universe (2002). In recent years, he has created photo installations, combining the style of “gold and green landscape” with the superstitions that permeate Taiwanese folklore, expressing a false and alienated “cold reality” that is specific to Taiwan. Representative works include the series Celestial Barbarians (2000), Savage Paradise (2000) and Heaven (2001). Another photo installation series Libido of Death (2002) and Hill (2003) tries to probe into the eternal issue of body and soul. Recently, Yao, Jui-chung has assembled all the black-and-white photos of ruins he took in the past fifteen years, grouped under the themes of Industry, Religious Idols, Architecture and Military Bases. They reveal the enormous ideological black hole in Taiwan hidden behind the trends of globalization and Taiwan’s specific historical background, as a continuation of the main theme of his work: the absurdity of the historical destiny of humanity. In 2007 Yao started to create a series of works, including Wonderful (2007), Dust in the Wind (2008~2010), Dreamy (2008~2010), Romance (2009) and Honeymoon (2010~2011). He appropriates masterpieces from Chinese art history and recreates them in his own work, transforming them into his personal history or real stories, in an attempt to transform grand narratives into the trivial affairs of his individual life. Yao intends to usurp so called orthodoxy with his recreated landscapes. Apart from creating art, Yao, Jui-chung has curated exhibitions including The Realm of Illusion-The New wave of Taiwan Photography (2002), King-Kon Never Dies - The Contemporary Performance ＆ Video art in Taiwan (2003) and Spellbound Aura-The New Vision of Chinese Photography (2004). His essays have been published in many art journals. 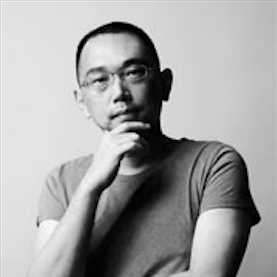 He has also published several books, including Installation Art in Taiwan since 1991-2001 (2002), The New Wave of Contemporary Taiwan Photography Since 1999 (2003), Roam The Ruins of Taiwan (2004), Performance Art in Taiwan 1978~2004 (2005), A Walk in the Contemporary Art：Roaming the Rebellious Streets (2005) and Ruined Islands (2007), Yao, Jui-chung (2008), Beyond humanity (2008), Nebulous light (2009), Biennial-Hop (2010). His works have been collected by the Taipei Fine Arts Museum, Taipei, Taiwan; the Kaohsiung Museum of Fine Arts, Kaohsiung, Taiwan; the National Taiwan Museum of Fine Arts, Taichung, Taiwan; Queensland Art Gallery, Brisbane, Australia; Herbert F. Johnson Museum of Art Collection, Cornell University, USA; Bibliothèque National de France, Paris ( French National Library, Paris), and many private collectors. Yao, Jui-chung is an artist, critic and curator. He teaches at National Taiwan Normal University Department of Fine Arts.